When you are searching for surgical and non-surgical techniques that will help to rejuvenate your face, two of the most commonly used options include dermal fillers and facelift procedure. Although a facelift procedure involves the administration of general anesthesia and incisions, it may be your best option when attempting to improve the appearance of your face. Understanding which of the two options is best for you will allow you to make the right decision. Dermal fillers are designed to help reduce the signs of aging in your face. This injectable filler is placed directly into the skin in order to add to your facial volume and remove wrinkles. The gel will stimulate growth of a collagen substance, which is a natural substance in the body that lessens with age. Dermal fillers are minimally invasive and come with hardly any risks. The treatment takes only 30 minutes to complete with the results showing up immediately. The primary issue with dermal fillers is that there are limitations to them. The results of a single treatment will only last for 4-6 months. It’s also important to know that these fillers are unable to effectively treat deeper signs of aging, which can include deep wrinkles and standard jowl formation. A facelift is a form of plastic surgery that helps to improve some of the more noticeable aging signs within your neck and face. These signs can include the development of jowls, sagging skin, deep fold lines, and excess fat in your neck. Facelift procedure are oftentimes paired with similar types of plastic surgery to help with the improvement of the entire facial appearance. Although a facelift won’t change your appearance altogether, it can reduce some of the more notable signs of aging that you may be suffering from. One of the main benefits of this procedure is that the results will typically last anywhere from 5-10 years. 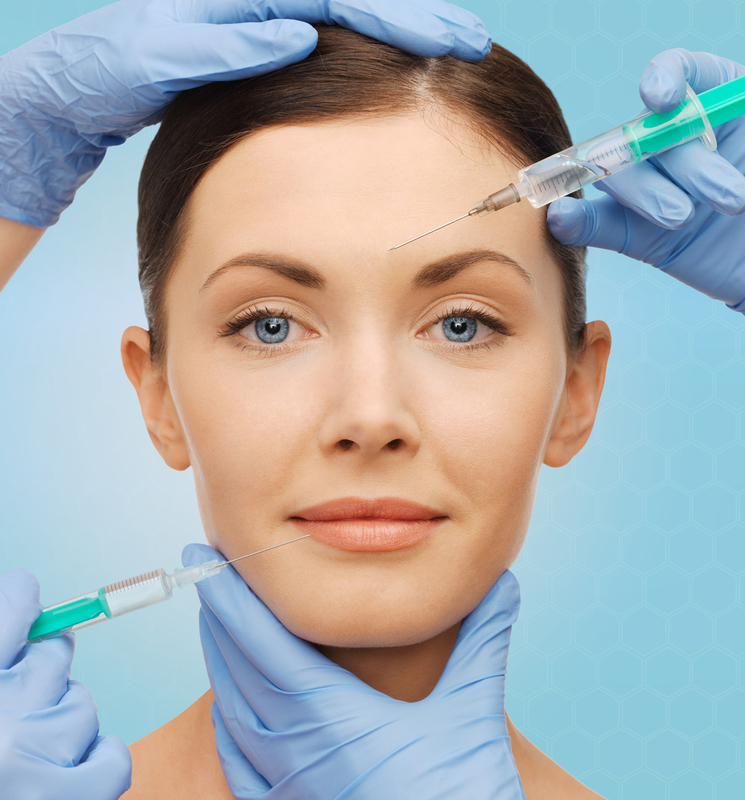 While dermal fillers can be effective at reducing some of the signs of aging that you may be going through, they are specifically meant to be used for some of the less severe aging signs. Using these fillers to attempt to fix moderate to severe issues can cause these problems to worsen. If you use dermal fillers incorrectly, it’s possible for you to experience a bloated appearance. Although there are several risks that you should keep in mind with a facelift surgery, the results can be far more beneficial. These procedures are very precise and focus only on the areas of your face that need improvement. Experienced plastic surgeons have the training necessary to provide you with the results you’re searching for. While this surgery isn’t for everyone, the minimal risks mean that nearly everyone can obtain it. If you want a facelift to help with the improvement of your appearance, speak with a plastic surgeon such as ours to identify whether or not you’re a good candidate for the treatment. The surgical procedure will begin with a dose of anesthesia that will put you to sleep for the duration of the treatment. 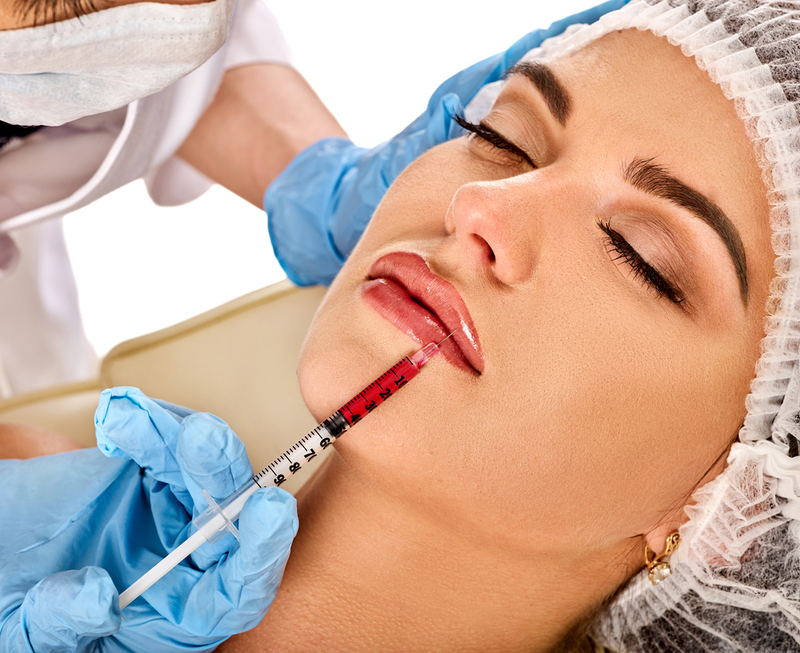 Once the anesthesia has been provided to you, the incisions will be made at certain points on your face. The placement of these incisions depends on the type of facelift you’re receiving. Standard facelifts make use of incisions that start at the hairline around your temple and wind down to the back of your neck. These incisions are large because fat can be redistributed or sculpted in your neck, face, or jowls, which can lead to substantial changes. Your muscles will also likely to be lifted in order to provide you with a more youthful appearance. The skin will then be draped back to its original position with any remaining or excess skin cut away. If you are thinking of having improvements done to your chin as well, an extra incision could be made in this area. Once all of your requested alterations have been made, the incisions will be closed with sutures. The incisions that come with a limited facelift or neck lift are in similar positions but will usually be smaller in scope. Both of these options will provide less rejuvenation than the full facelift but can lead to more targeted results. No matter which of the three types of facelift procedures you select, the incisions will be hidden along your hairline. You should start to notice the results of the facelift once some of the bruising and swelling have lessened. The full results of such a procedure won’t likely be seen for 6-9 months. Immediately following the procedure, a bandage will likely be placed around your face in order to reduce your bruising and swelling. Your surgeon will provide you with everything you need to know in order to treat the affected area until it heals completely. If you want your recovery process to progress without issue, you will need to follow the instructions that are provided to you by the surgeon. There are times when these instructions will include certain medications that you will need to take in the days and weeks following the facelift. If ever you notice any excess amount of bleeding or swelling, make sure that you schedule an appointment with your surgeon as soon as possible. Unless you were provided with dissolving sutures, you may need to visit the surgeon again to have these sutures removed. While the plastic surgery process isn’t as straightforward as the application of dermal fillers, the results are more permanent. Dr. Bustillo is a double board-certified plastic surgeon specializing in facelifts in Miami. Dr. Bustillo has performed a large number of reconstructive and facial plastic surgeries. He has received two separate board certifications and is a professional member of several academies pertaining to plastic surgery.